​Zoe INTL mobile CDT dehumidifiers offer quick and easy control for both damage service companies and the building industry. The CDT units are renowned for their user-friendliness, superior digital control and light yet robust design. Damage control in case of flooding, burst water pipes or as a side-effect from fire fighting requires fast and efficient dehumidification. They are fast and energy efficient. They offer precise digital settings, service information, easy fault-finding and exact specification of hour and energy consumption as well as readings of temperature and relative humidity. On top of this they are designed for optimal transport and handling. Dry air is a laboratory phenomenon. Atmospheric air will always contain moisture, often in quantities that prevent natural ventilation from providing an effective answer to drying buildings. Whether it be during construction, after fire or flood damage or even after a period of disuse, moisture will build up within buildings, often with damaging consequences. These problems can be disguised by the use of heat or ventilation (when the weather is occasionally suitable) but are unpredictable, slow, and potentially energy inefficient. Dehumidifiers are the only method of positively removing moisture in a controllable, efficient manner from a space, and at a speed that can be dictated to suit the application. During building construction, dehumidifiers can be used to accelerate the rate of drying wet processes such as concrete floors and plaster, not only allowing the construction work to proceed more rapidly, but in a way that ensures the drying will not encourage cracking and distortion. Further, concrete floors that are dried by dehumidifiers will always settle at the correct moisture content. Porta-Dry dehumidifiers are fully contained, packaged units which incorporate a fan and a totally CFC-free refrigeration circuit. A fan draws room air through the machine which firstly passes across a refrigerated heat exchanger (evaporator) that cools and allows moisture contained within the air to condense. The cooled, dry air then passes across a warm heat exchanger (condenser) where it is reheated as a result of the dehumidification process, before being returned to the room in a dry, warm state. Moisture removed from the air is collected in a reservoir where it is fed away to waste. Due to the unique nature of a refrigeration circuit, energy removed from the air during dehumidification process is converted into usable heat. Typically for every 1kW of energy that a dehumidifier consumes, it will give out 2.5kW of heat; by removing the moisture from the air rather than heating it to a high temperature, Porta-Dry dehumidifiers will dry in a gentle and more controllable manner, alleviating possible material shrinkage and cracking problems associated with heating methods. As well as Zoe INTL and Calorex mobile products we can also offer Master and Aerial units for rental and general purpose drying. These units come in a range of styles and sizes andf are a great addition to the groups range. 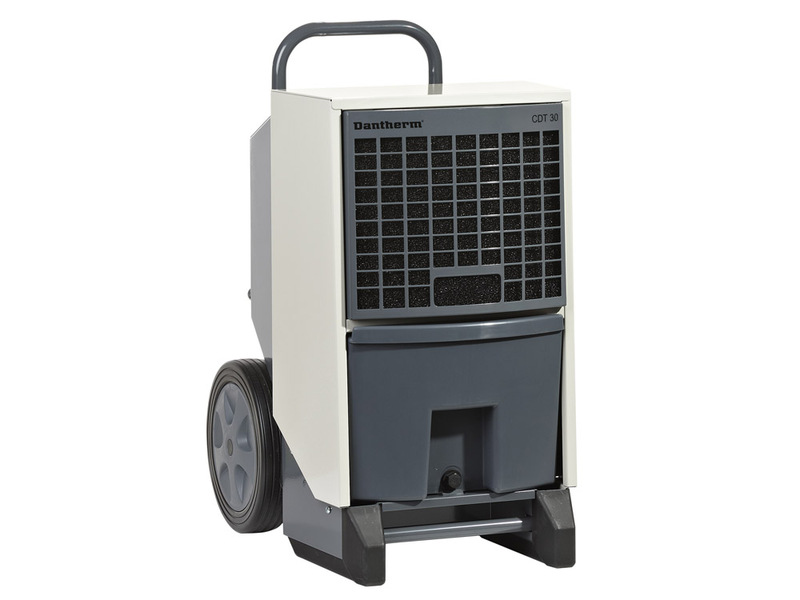 Zoe INTL manufacture mobile dehumidifiers in a range of sizes to suit any space. Whatever you need, Zoe INTL, Calorex, Aerial and Master have the solution.